EXCLUSIVE/ Parliament President Martin Schulz proposed on Thursday (17 November) bypassing the hearing process by which Günther Oettinger will have his new Commission portfolio confirmed, despite new concerns about his trip to Budapest with a lobbyist. Schulz told the Conference of Presidents, the Parliament’s top political body, that Oettinger should not have to undergo a proper hearing, various sources told euractiv.com. 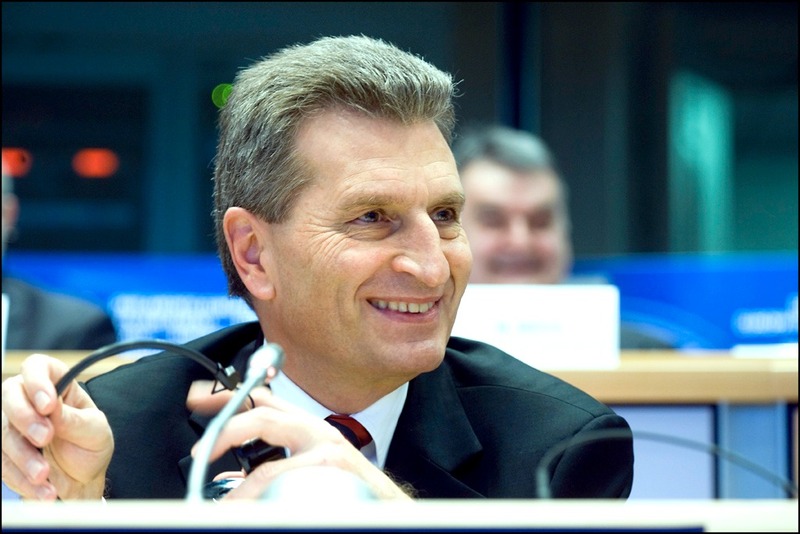 Instead, Oettinger would be subject to an exchange of views with MEPs before becoming the new Budget Commissioner. He could also take over Kristalina Georgieva’s vice-presidency once she leaves for the World Bank in January. An official close to Schulz explained that the decision is not definitive. 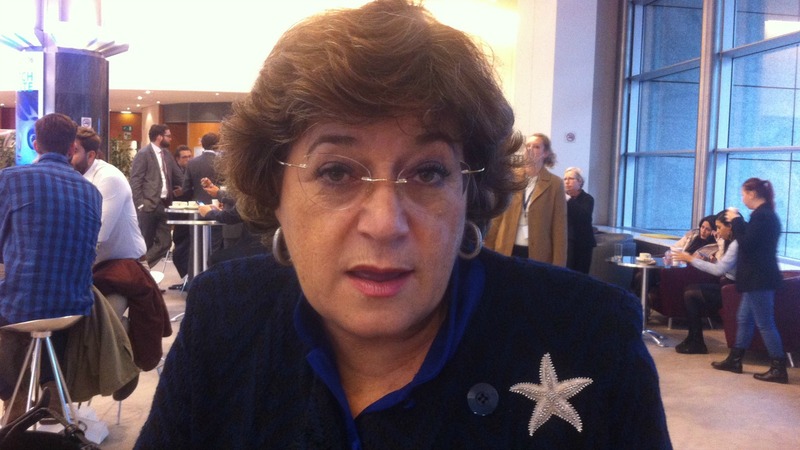 The final format is expected to be confirmed once Bulgaria proposes a new candidate for the College of Commissioners. Schulz wants to separate the process from recent controversies. Last month, the conservative German politician made racist comments in a meeting with businessmen. In June, the Hungarian website 444 revealed that Oettinger had travelled to Budapest the previous month, together with German lobbyist Klaus Mangold, who has close ties with Moscow. Mangold, a German businessman, works for the Hungarian government as a consultant, as the government in Budapest has since admitted. Oettinger’s trip took place just when the Commission was in the process of finalising an investigation launched in November 2015 about the construction of two new nuclear reactors at Paks site by, to be built for Hungary by Russia. Schulz is expected to contact the Commission to clarify whether any rules have been breached. To date, the German Social Democrat has made no comment about Oettinger’s trip. Schulz has acted as the guarantor of the Grand Coalition between his group, the Socialists & Democrats, and the European People’s Party, Oettinger’s political family, mirroring the governing coalition agreement in Berlin, between his own SPD party, and Chancellor Angela Merkel’s Christian Democrats, of which Oettinger is a member. A Parliament source commented that it would not be the “right time” for the president to go against Oettinger, since Schulz is manoeuvering to keep his options open to be re-elected at the Parliament’s helm for a third term. New questions arose on Thursday, when the Conference of Presidents met, as the European Commission decided to close the Paks case. The project was given to the Russian firm Rosatom without a proper tender, and without being subject to a fully transparent procedure. The Commission said on Friday (18 November) that the Hungarian government has sufficiently justified the need to apply the “technical exclusivity” exemption. Under this provision, a project can be awarded without a public and transparent procedure when technical and safety requirements can be met only by one company, and is compatible with EU law to grant the contract directly. “I have strong doubts that this is true,” Hungarian Green MEP Benedek Javor told euractiv.com. He noted that the Hungarian government has already asked Rosatom to make substantial changes to the base model after the contracts were signed, given that the current model does not fit the national regulatory requirements. “Actually what we know is that the VVER -1200 (the reactor model) does not meet the technical specifications, we have no information on the reactors that could have been supplied by the other potential bidders for a tender that was supposed to be launched until 2013,” he added. The Hungarian government and the European Commission explained that flying with Mangold was the only way to reach Budapest on time for a conference and, in particular, a meeting requested by Prime Minister Viktor Orbán. The executive declined to answer on today whether there would have been any other possibility to reschedule the conference in order to take a commercial flight. The Commission still has to decide on a case related to the financing of the nuclear plant project. The two Russian reactors will cost a total of €12.5 billion, of which 80% will be financed by Russia and 20% by Hungary. The Hungarian government expects a decision next week. Sources expected the Commission to consider this state aid, but within what is considered legal according to EU rules. I doubt that this case can be buried so easily. Oettinger must have been involved in the case of the Hungarian power plants financed by Russia as he was energy commissioner when the case started. The owner of the plane transporting Oettinger to Hungary is a knows lobbyist for Russian interests and he seems to have a consultancy contract with the Hungarian government. Are we to believe that the plane just happened to be in Brussels in case Oettinger would suddenly have a problem with his agenda? It should be easy to find out when the plane came to Brussels and whether it was planned all along to pick Oettinger up. 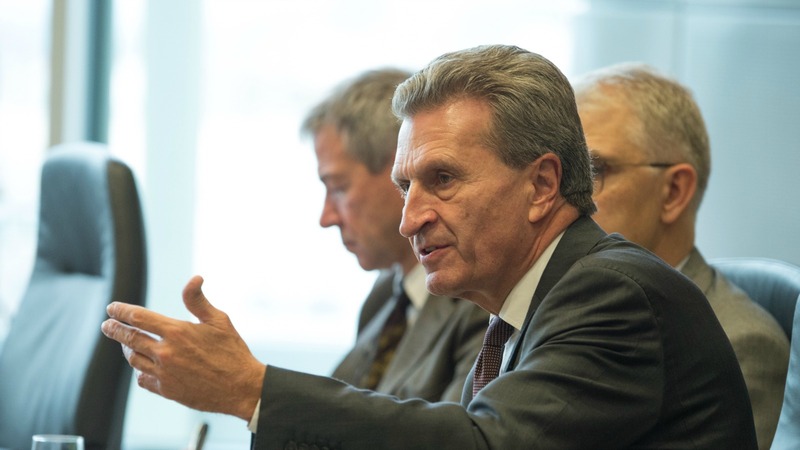 Juncker would be well advised to err on the side of caution and send Oettinger into retirement. The man is too toxic. This despicable manoeuvres just demonstrate the democratic deficiency at the very heart of the EU’s rotten core. If the EU Parliament lets Schulz have his way unchallenged each MEP will be failing in his/her duty. Again, they talk about corruption, but in this case it’s more likely that Rosatom has unique developments that are needed to Paks, so an argument about changes is a bad one, as the project revision is a routine practice. There is nothing strange or suspicious about it.